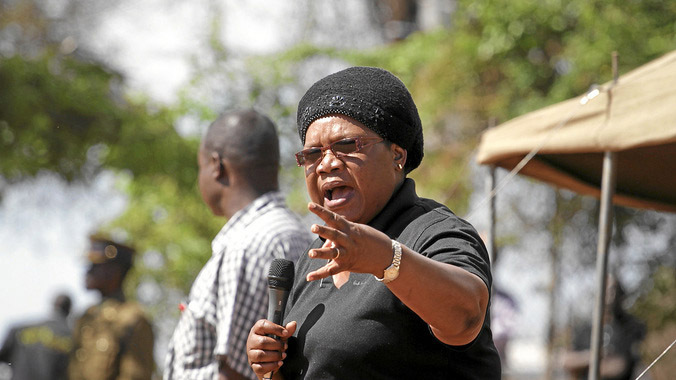 I think by now most of us have read People Firstâ€™s manifesto launched by Joice Mujuru today. At face value itâ€™s a good document where the authors seem to have carefully thought through a lot about what is wrong with Zimbabwe and how it can be corrected. That is good news indeed. We will of course be testing their integrity as time goes on, but for now let us give them the benefit of the doubt. Critical to the success of any future policies in Zimbabwe will be the creation of inclusive and accountable institutions. This will not happen overnight. We have to destroy the culture of patronage and entitlement and that will require that if Mujuru were to become President, she must deliberately surround herself with smart people who are free to continually challenge her to do better. The biggest danger we face is that she will surround herself with people whom she is comfortable with (that is to say deadwood or yes men) and we know the problem with that. First, Zimbabwe belongs to all its citizens regardless of where they may be at any particular time. That is good. Second we have to put back value in our land assets by creating secure tenure. Third we need to promote free enterprise and repeal the indigenisation laws to be replaced by broad based and reasonable empowerment policies. This must not be at the expense of job creation. Fourth we must heal Zimbabwe with all the sincerity it deserves. Our society has been abused for the last thirty six years it is shocking. That abuse has been meted out by state institutions including the police. That must stop. We will require a new paradigm of policing. Fifth we must deal brutally with corruption and lastly Zimbabweans must benefit from the revenues of our national minerals resources. The manifesto covers all these issues. I like the idea of establishing a Presidential advisory think tank. You see, good leaders surround themselves with smart people and they allow these people to tell then what to do. The prescriptive culture of leaders who play little gods is no longer viable and leads to disaster as we have seen with ZANU (PF). Also important will be the avoidance of the silo mentality where each ministry acts independently without regard of how its policies and actions affect other ministries. This is old thinking. We will need a holistic approach to the management of the business of government so that each cog acts in alignment with national objectives. We must also create structures that give consistent and honest feedback. Unfortunately the manifesto is silent on local government and devolution of power. The delivery of democracy must happen at local level where communities participate in building their own neighbour hoods. This will bring delivery and accountability to the people on the ground. The idea that all the answers lie at State House must be rejected with the contempt that it deserves. We also want to see all senior government officials declaring their assets publicly before they join government. The issue of conflict of interest must be taken seriously. In my opinion, no government official should be allowed to do any business with government. Transparency of leadership will therefore be key. We must also deliberately put incentives in place to attract Zimbabweans in the Diaspora back home. This requires some soft landing mechanisms to be in place to attract the right people back. As we create a new Zimbabwe we need to put human capital development at the centre of our economic and social policies. Zimbabwe can only live up to its full potential when we create an environment that nurtures and develops our people to their full potential. The meeting of basic needs such as education, access to clean water, affordable decent housing, affordable and accessible health services and consistent energy supply will be critical for citizens to develop to their full capacity in this lifetime. Of course we are yet to see the specific sectorial policies of People First, but there is no shortage of good ideas that have been ignored by ZANU (PF). It will therefore not be difficult task. Economic freedom, free enterprise without a government that interferes, freedom of association, access to information and the right of every citizen to pursue happiness are enshrined in our constitution and seem to be taken seriously by People First. In my opinion the People First manifesto is an excellent start. What will matter most will be the people around it. We need a multiplicity of views and opinions if we are to turn around Zimbabwe and develop a vibrant inclusive economy underpinned by human rights for all. I trust that we will continue to critically look at ourselves as a society, challenge moribund paradigms that we have suffered under ZANU (PF) and do our best to create a much better future for our childrenâ€™s children. Pity PF does not have a website. In this modern era one would think a serious opposition party would have all the tools ready to campaign before the launch of such a document as a Manifesto.